I’ve been producing video of one form or another for over 20 years. 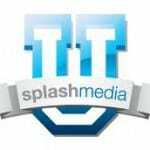 I’m an Emmy nominated writer and producer and know my way around video production for broadcast and corporate marketing/PR. But when it comes to social media and how my clients want to use video in that ever-changing realm, let’s just say I’m an old dog running fast to learn new tricks. 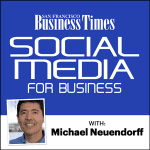 To that end, this week I will attend the San Francisco Business Times workshop on Social Media for business. 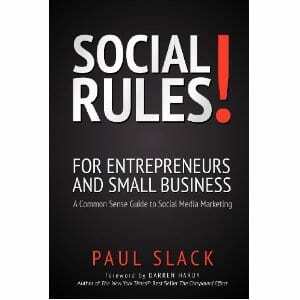 It promises to teach me how to harness the power of social media to engage customers and expand business opportunities. 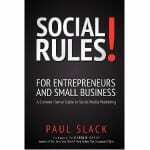 I’m also reading “Social Rules!” by Paul Slack and taking social media webinars through Splash Media U. Basically, I’m trying to give myself an executive SMB degree (social media for business) — getting up to speed as quickly as possible. As a video producer, my principal role is acting as a sales and marketing partner to my clients. Whatever they hope to achieve, whatever story they want their video to tell, whether its a Fortune 500 or a non-profit organization, I want to be there with all the tools possible to make it an effective use of their marketing budget. As the landscape for reaching customers is increasingly shifting to social media, I want to be there too with a level of understanding that will benefit my clients. What is the best way to use video in this mix? What style of storytelling will be best received? How can we help our clients stand out among the “noise” and excess? I’ll be posting my findings here and on Facebook, and yes, maybe even a tweet or two. Do I also plan to implement my new knowledge to benefit the social media marketing strategy for Bayside Entertainment? You bet. But in the end, I know that the best way to market Bayside is to offer great customer service. And knowing the social media landscape has become a critical part of that.